If you need a web or application hosting configuration that gives you the most flexibility in terms of the server's hardware configuration and what you can do with the server, a dedicated server is the best choice for your needs. A dedicated server hosting configuration will outperform cloud, virtual, and shared hosting solutions. When you lease dedicated servers, you're paying for exclusive access to a physical server-- and a good hosting company like Hivelocity will give you plenty of options for configuring that computer. As with a personal computer that you might buy for yourself, some of the configuration options for dedicated servers cost more than others. In this article, we'll discuss some of those options and explain why they can affect your dedicated servers' price. Linux is a free and open-source operating system. Windows, on the other hand, is commercial software. To use it, you must pay a license fee. Choose Linux if you want the cheapest dedicated server option. Although Windows-based dedicated servers costs more, some people choose Windows because they're familiar with the environment or prefer to use Windows software. Hivelocity is able to provide most any version of Windows to its customers for a nominal monthly fee eliminating any need to purchase software from Microsoft outright. Both operating systems have their supporters and detractors so it is a matter of taste and skill sets that determine the right OS for you. With a less expensive dedicated server hosting option, the hosting company may limit the amount of data that your server transfers each month. Our standard plans include 20TB (20,000 GB) of outbound monthly data transfer which is more than sufficient for most businesses. However, if you want dedicated servers with no data limit then you need unmetered ports. You'll pay a little more each month because higher network usage increases the data center's operating costs, but not having to worry about bandwidth overage charges may be worth the cost. For users that have heavy traffic site or applications, an unmetered bandwidth solution is a great way to achieve your needs without blowing the budget. We offer 1Gbps - 10Gbps unmetered ports with any of our dedicated servers. The primary storage device in a dedicated server may be a solid-state drive (SSD) or a traditional spinning disk hard drive (HDD). Choosing a solid-state drive will increase the speed of your server's storage subsystem and improve performance for all of your users. Solid State Drives have no moving parts which also improves their reliability. Hivelocity achieved a failure rate of less than 1% on its SSDs last year. An SSD will likely increase your dedicated servers' price tag, though, because solid-state drives cost more than hard drives for an equivalent amount of storage. 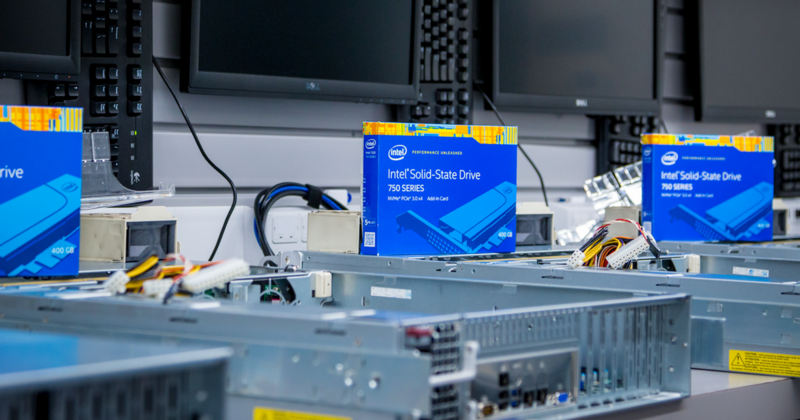 Over the years the price of solid-state drives has come down, making them a much more affordable component to dedicated servers. Currently, all of Hivelocity’s new dedicated servers include an SSD with our base configuration with 15+ additional drive options available including the lastest NVMe or PCIe SSDs which offer up to 10X the speed of our standard data center grade SSDs. It is important to know that a true server meant for enterprise use is made with enterprise-grade components that will outperform and prove far more reliable than consumer grade components. If you see a server with an Intel Xeon processor like an i5 or i7, those "servers" are made with the same type of hardware that goes in the laptops you find at Walmart. Consumer grade processors sit on consumer grade motherboards that plug into consumer grade power supplies, and chances are if your hosting provider is giving you "cheaper" consumer grade components they are also giving you a "cheaper" consumer hard drive. You may save yourself a few bucks but you will pay the price with lesser performance and considerably inferior reliability. True data center servers should have Xeon processors with SKUs that start with E3, E5, and E7. More recently AMD offers enterprise-grade processors under the name EPYC. AMD Ryzen is a consumer grade CPU that is meant for your home computer, not to run your business. Lastly, if there is one thing to look out for when it comes to the type of hardware going into your server, it is absolutely critical that you are getting an Enterprise or Data Center Grade HDD or SSD. Without your data you have no business, so please make sure you do not pinch pennies on the quality of drive that stores your data. Does your company have a staff of IT workers who can monitor the availability of your dedicated servers, install software updates, and check for unauthorized access attempts? If you have an IT staff, an unmanaged server is the cheapest dedicated server option. If you don't have IT staff, your best bet is to choose a managed dedicated server. Although it'll increase your dedicated server price slightly, it'll also eliminate much of the effort required to keep your server in top form. Managed dedicated server services include OS updates and patches, server security hardening and monitoring, proactive service monitoring and more. At Hivelocity, our managed server techs are on-site within feet of your server 24/7/365. Many hosting companies offer dedicated servers in data centers around the world. It can be beneficial to lease a server in a data center that's close to your customers. Close proximity helps to ensure that your website's users will enjoy the best possible performance. The location of the data center can affect the cost of dedicated servers, though, due to a variety of variables. Real estate can be a premium is some markets, so a dedicated server hosted in New York City, for instance, will likely be offered at a higher price point than a server located where land and power is less expensive. A data center is much more than a room full of computers and not all data centers are created equally. Data centers may use a variety of advanced technologies to improve cooling, energy efficiency and increase redundancy. All of the enhancements that increase a data center's efficiency or reliability cost money to implement. 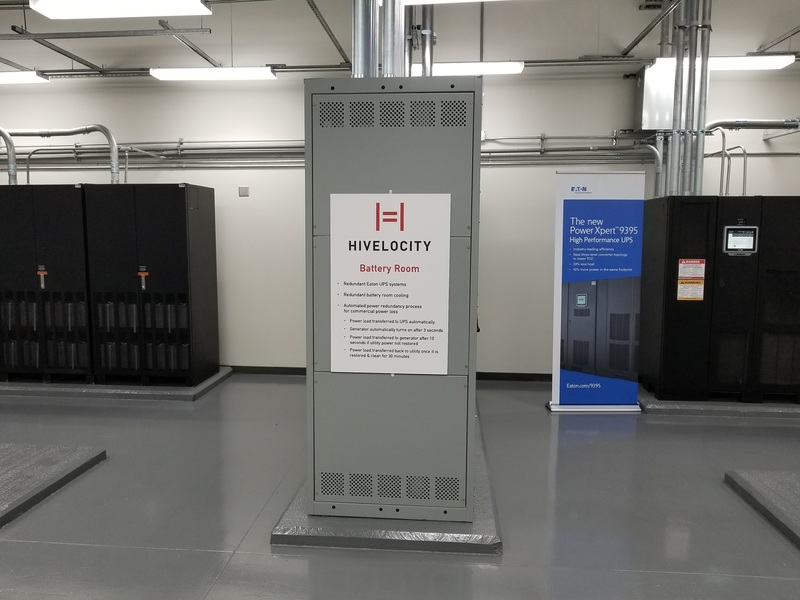 It is important to know that not all data centers are willing or able to invest capital into what we at Hivelocity consider necessary infrastructure. As a user of any data center, you'll bear a small portion of the costs invested into the infrastructure. The less redundancy and infrastructure provided, the cheaper the solutions should be since you are getting less of what makes a data center a data center. As an example, there are data centers who may have just enough cooling to keep the server floor cold when all air units are working properly but insufficient cooling if one of the AC units fails. Under this scenario, you may never know the difference in service until the day one of the AC units fails. It is at this time you may experience downtime at one facility or never have missed a beat at a better facility. Having an N+1 (necessary plus one) facility is essential for any data center’s ability to provide reliable 99.999% uptime. This N+1 environment should carry over to not only cooling but for power as well. If a data center does not have an N+1 infrastructure you should pay less because you are getting a suboptimal environment for your solution. Hivelocity maintains an N+1 infrastructure and has provided its customers with 100% power and network uptime for 5 years straight. One item people may not think about when they consider the data center infrastructure is the quality of the network being provided. Having a network with multiple carriers and diverse paths not only improves the quality of the network performance but the reliability of the network as well. When a hosting provider has only 1 carrier on the network that is what is called a single-homed network. Having a single bandwidth provider equates to a single point of failure. We covered the benefits of a multi-homed network in a previous blog. When it comes to transit providers on a data center network, more is typically better. Once again, more bandwidth providers on the host's network means more operating expenses which may lead to a higher cost for services provided. Ready to configure your dedicated servers? Hivelocity is here to help. Chat live with a sales agent today to figure out which dedicated server configuration works best for your needs and price point. Ever Wonder What Your Dedicated Server Looks Like? Now Is Your Chance!